Need help writing a paper? Want someone to review your work before you submit it to your professor? We are proud to announce a new opportunity for virtual tutoring and assistance. 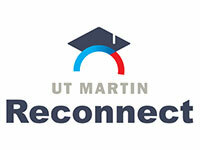 UT Martin Online and the Hortense Parrish Writing Center have partnered to provide students an opportunity to work online with writing center assistants on individual papers. Improve your writing skills from the comfort and convenience of your own home or office! Every Tuesday (September 11 - December 4) 9 a.m. - 1 p.m. (Central Time): Join via Zoom. Every Thursday (September 13 - December 6) 8 a.m. - 4 p.m. (Central Time): Join via Zoom. Every Friday (September 14 - December 7) 8 a.m. - 4 p.m. (Central Time): join via Zoom. The writing center is located in the Andy Holt Humanities Building, room 209.